We are proud to announce the attendance of Tecniplant to the event hosted on march the 1st 2019 by Hamburger Phosphorrecylinggesellschaft mbH, which lays the foundation stone of the sewage sludge phosphor recovery project. 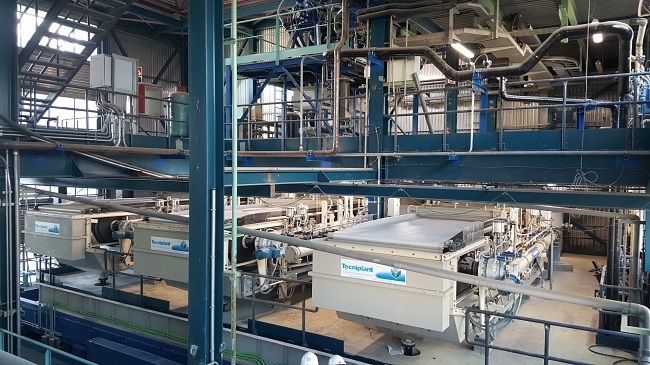 Our Company has always paid close attention for the environment and thanks to the opportunity offered by Hamburg Wasse and Remondis, to which we will supply the filtration systems to implement the first Phosphorus recycling plant in the world. 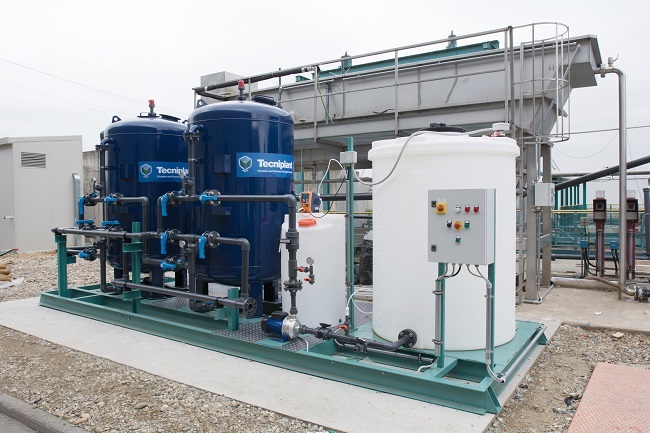 Thanks to this new Technology designed by Remondis called TetraPhos it will be possible to recover up to 7000 tons per year of ultrapure phosphoric acid from 20,000 tons of sewage sludge. Being part of this project is a great opportunity to make a real difference for our Planet through Green Technology, a challenge that Tecniplant cannot but take up with great enthusiasm. Tecniplant has recently acquired a further project for a new Wet Flue Gas in Greece. – 2 Filtrate Pumps (one for each Vacuum Belt Filter). 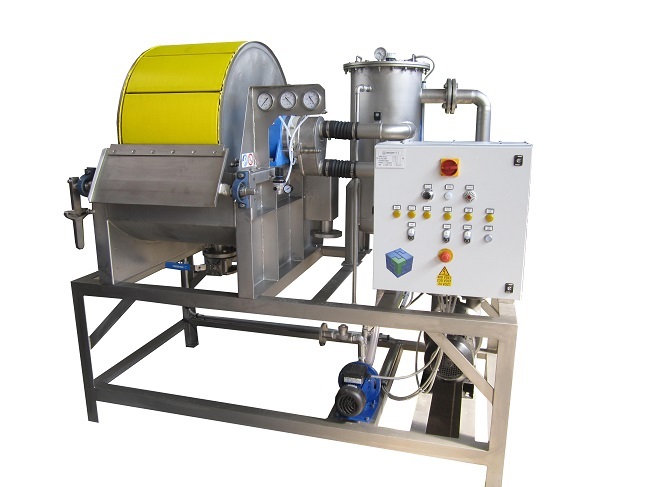 – 2 Cloth washing systems (one for each Vacuum Belt Filter) skid mounted. The Project represents an important achievement in the supply of complete and integrated solution for the Gypsum Dewatering System applicable in Power stations. 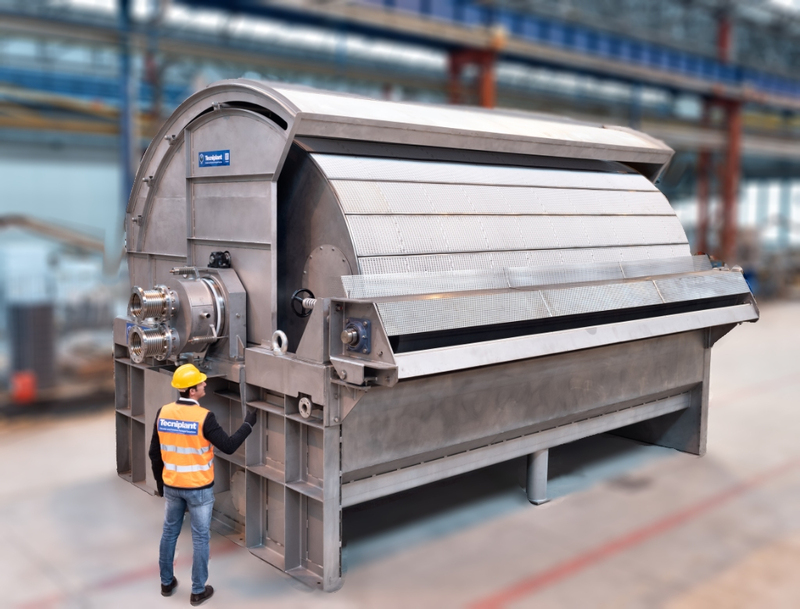 Tecniplant has recently completed Drum Vacuum Filter roller discharge type for an important German Client. 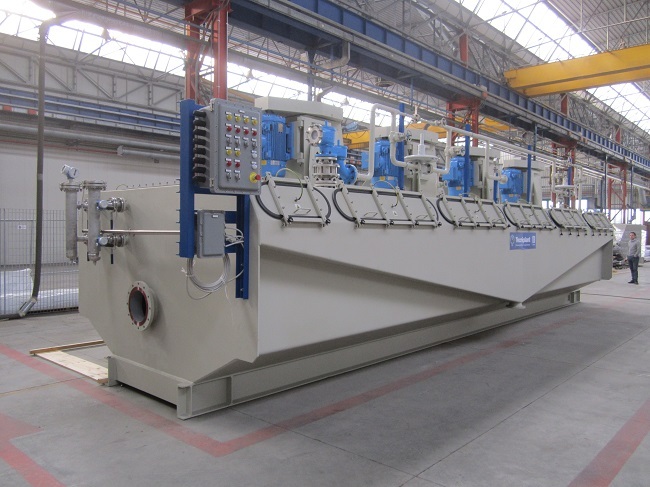 The Drum Vacuum Filter we have provided is constructed with a huge filtration surface of 60 m2 , this size is one of the biggest for this type of equipment, it will be employed for the filtration of painting pigments. These challenging projects give the opportunity to measure constantly Tecniplant’s capabilities. We are proud to announce that another achievement has been reached proving the skills of our Company to satisfy the Client’s requests offering them tailor-made solutions. 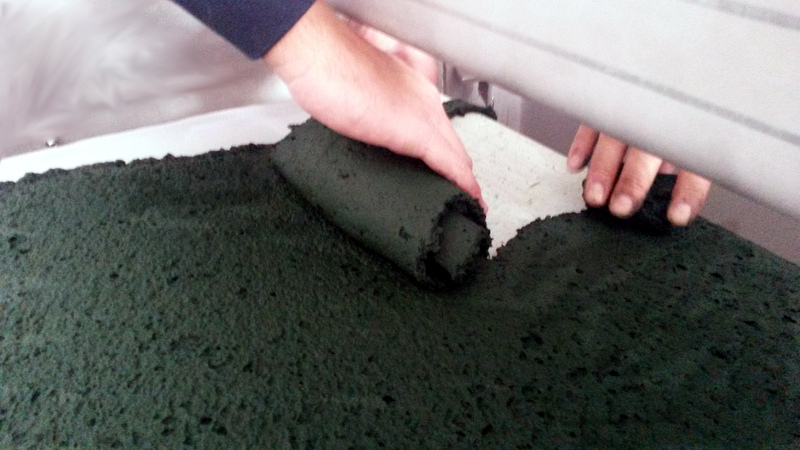 Tecniplant has recently completed, tested and shipped a belt filter to an important Company for the treatment of spirulina algae. The filtration unit was customized following the Client’s requests using a unique cloth expressly designed for the filtration of this very particular element. Spirulina is a superfood employed on various purpose such as dietary supplements, the substance is object of research studies in health field. 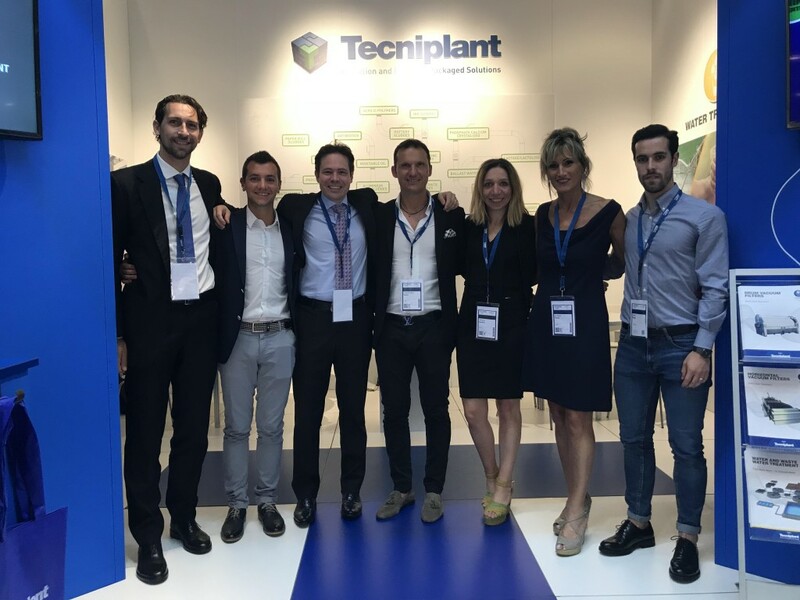 The results achieved further stimulates Tecniplant to pursue the aim to operate with new materials emphasizing the importance of the Laboratories and Site Pilot Tests to reach the best performances with the big scale plants. 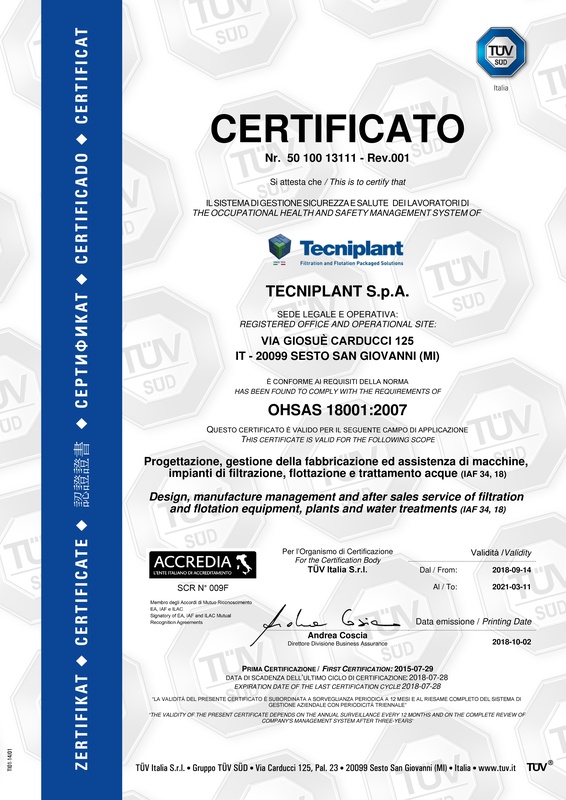 We are proud to announce that Tecniplant has obtained the release of the UNI EN ISO 14001:2015 Certificate, upgraded to the last edition and the renewal of the BS OHSAS 18001:2007. 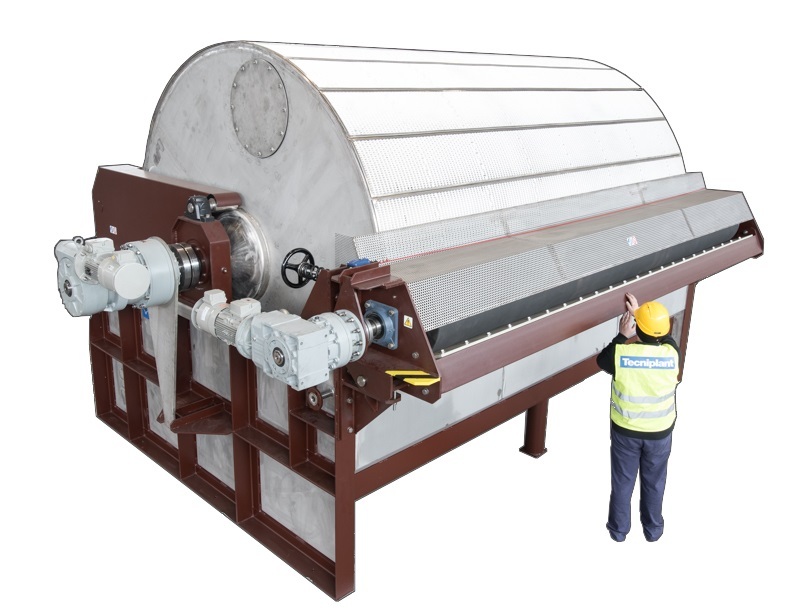 Tecniplant has recently completed, tested and shipped a drum vacuum filter to an important company deals with the recovery of non-ferrous materials as zinc and lead in batteries. 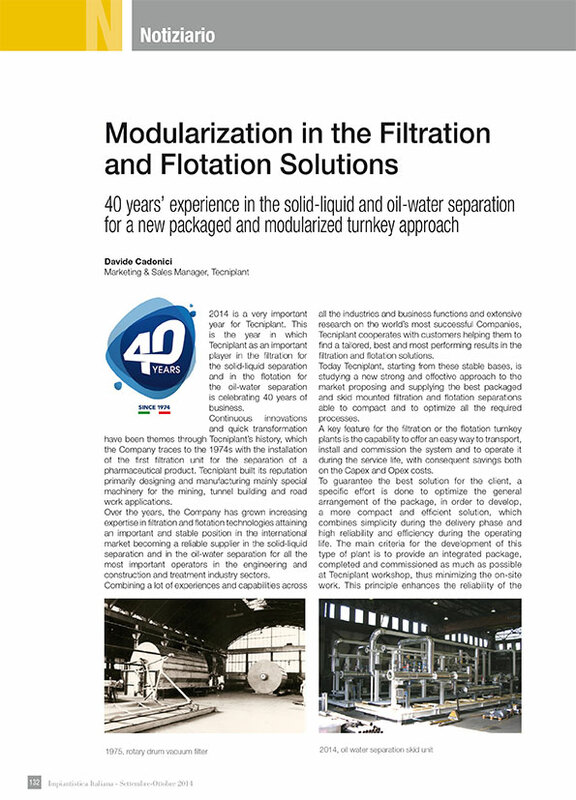 The filtration unit was realized in a packaged solution ready to be used , following our plug-in philosophy. The main features of our product are the easy and quick installation and our client is able to use the filter just by connecting pipes and electricity. The filter has a dashboard with a LCD screen in order to control it both in local or remote way through integrated PLC. The parts in contact with the product has been made in Stainless Steel AISI 904L material due to the chemical aggression of the product to be treated. Moreover the filter is thermo-insulated to maintain a constant temperature value during all the filtration phases and at the same time to guarantee the operator safety. Tecniplant has successfully completed the design and the supply of a tailor-made equipment pleasing the customer requests. 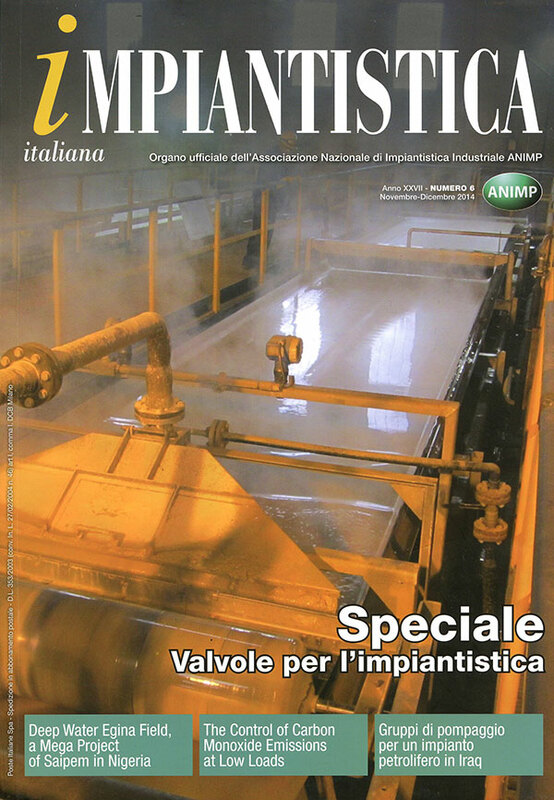 Tecniplant has recently completed, tested and shipped to one of the European main Client in Metallurgic Industry No. 1 Rotary Drum Vacuum Filter model DVFR40 with roller discharge and a filtering surface of 40 m2 for metallurgic industry. 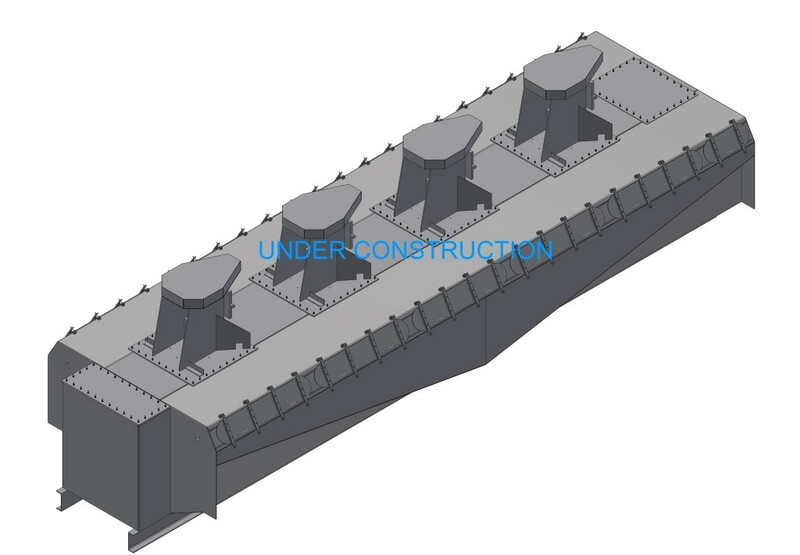 The filter is completely engineered and designed in order to meet the customer needs as available foot-print, rotation direction, hydraulic connection and so on with the aim to minimize the impact on the existing building. The erection, commissioning and start-up activities were positively carried out by Client under Tecniplant supervision and support. The Project represents an important achievement in the design and supply of a tailor made equipment inserted into an existing building and process. 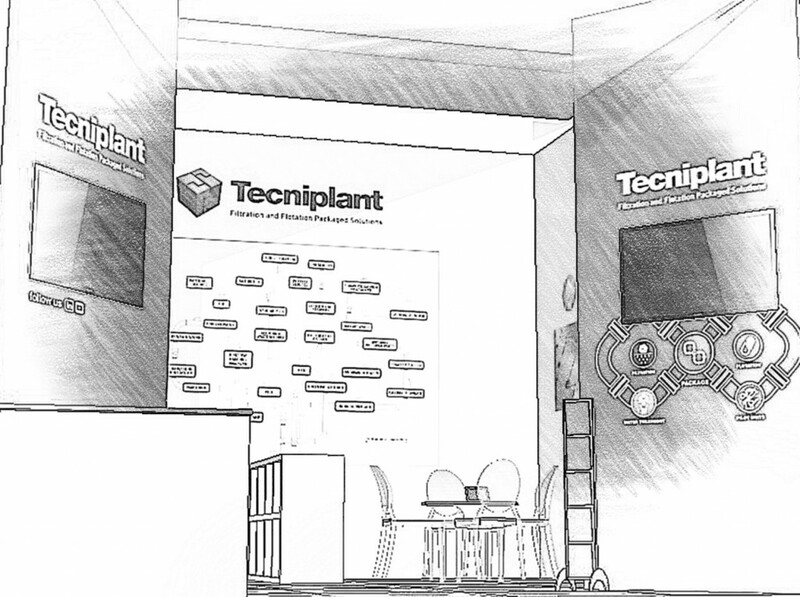 Tecniplant is now present on social networks. We would like to thank you all for the success achieved during the International Exhibition Achema 2018. Our effort has been fully repaid by all our visitors, both the known and the unknown ones. We closed our stand on Friday with a 20% increase of visits compared to the last edition of the Fair. Those that were not able to come can follow us on Linkedin or Youtube in order to stay updated on our products and business. 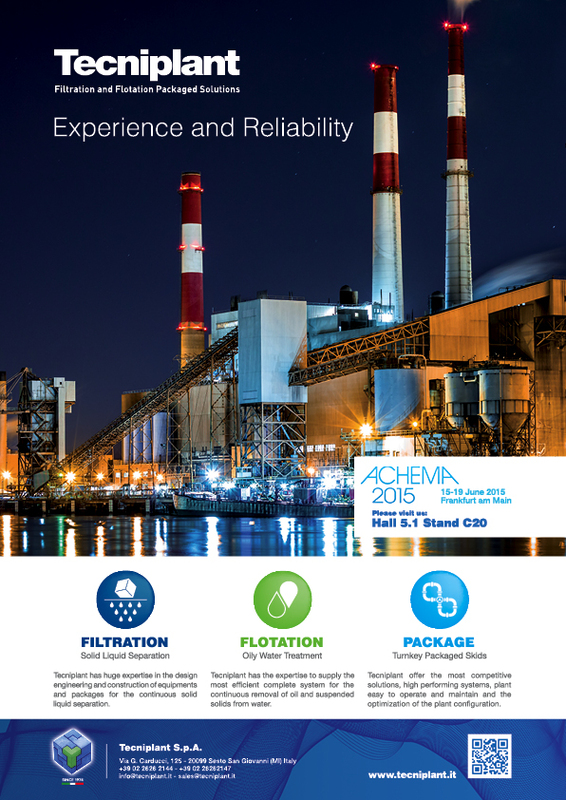 The company Tecniplant will be present at the International Exhibition-Congress ACHEMA 2018, which will take place from the 11th to the 15th of June at Messe Frankfurt (Ludwig-Erhard-Anlage 1, Frankfurt, Germany). We welcome you to visit our stand in HALL 5.1 at stand C20. 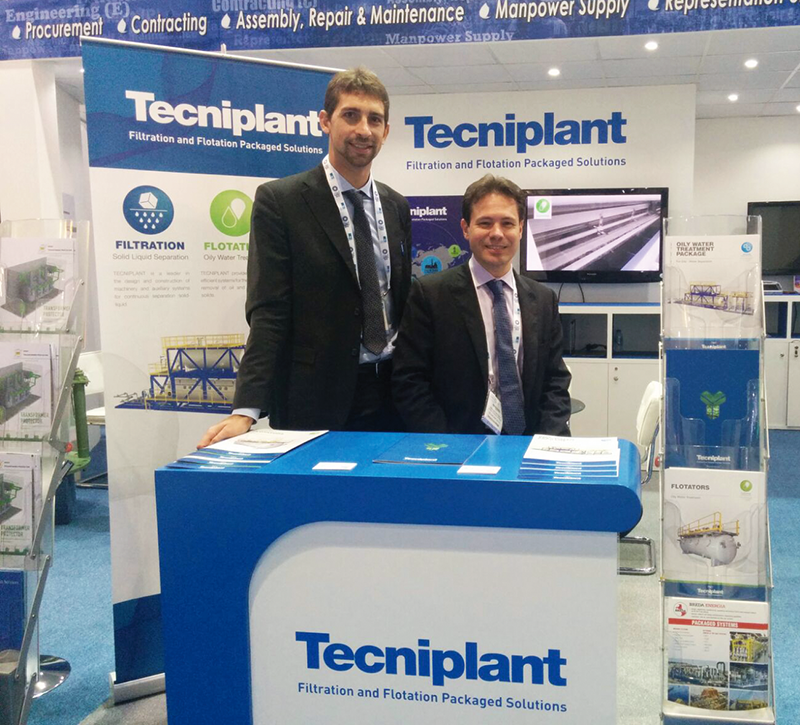 Tecniplant is specialized in the design and construction of complete filtration, flotation, water treatment equipment, packages and modularized plants with the aim to convert wastewater into a resource. 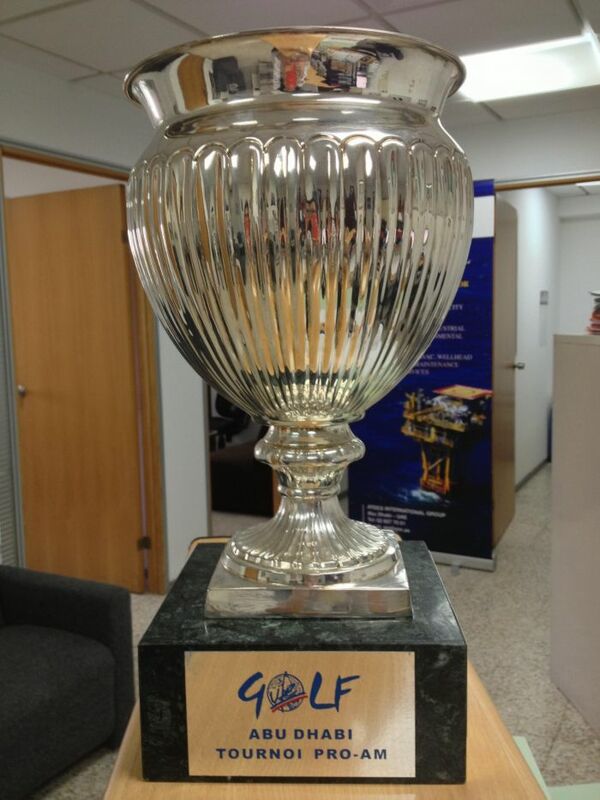 The exhibition will represent the opportunity to get the latest information about the products we offer. While visiting the stand, you can be advised by our specialists on the possibility of manufacturing our filtration (drum, belt, leaf, sand, nutshell) & flotation (API/CPI separators, IGF) packaged solutions. Moreover, we will present our PILOT UNITS which can be used to perform tests in the operating environment of the Customer and to get data in order to develop the best full scale plant. Tecniplant studies, designs and manufactures applications which means technical innovation, profit optimization and lower environmental impact for the Client. 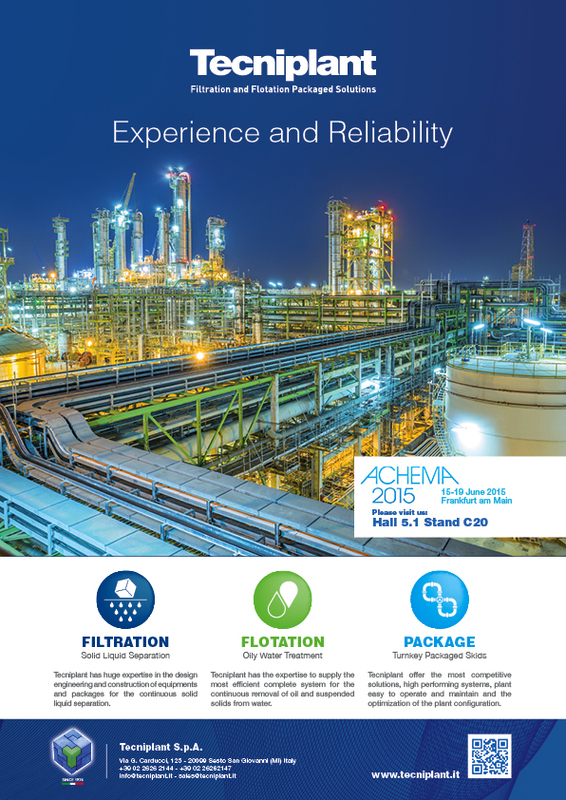 Please contact us at the email address achema2018@tecniplant.it in order to receive your free ticket, to arrange a meeting or to ask info. 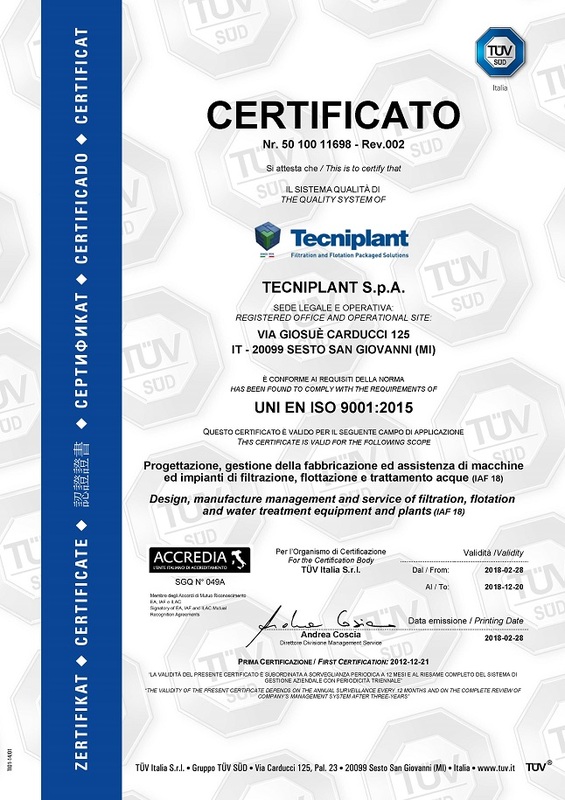 We are proud to announce that Tecniplant has obtained the release of the UNI EN ISO 9001:2015 Certificate. 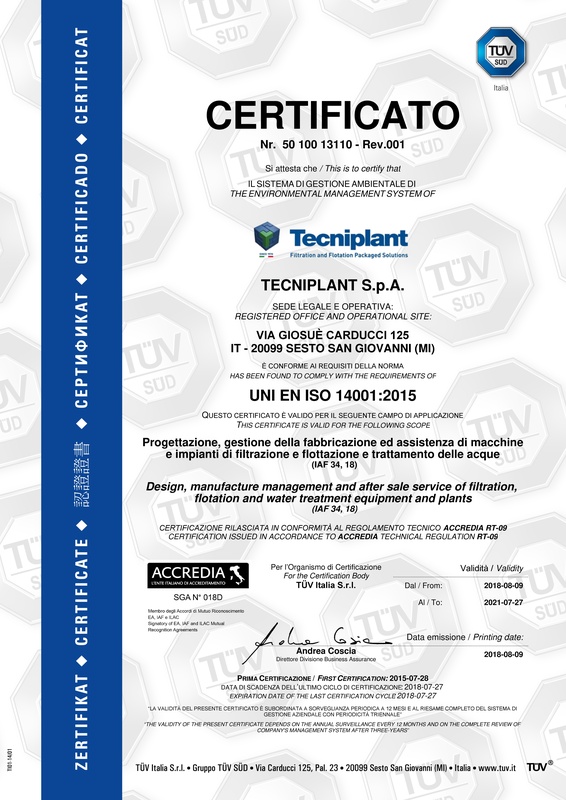 The result achieved further stimulates Tecniplant to pursue the objective to operate in full compliance with the highest standards in terms of quality, safety and respect of the environment. Tecniplant has recently completed the revamping activity of a first-flush rainwater treatment Plant serving a waste-to-energy Plant located in Italy. The run-off surface of 38.000 m2 discharges a first flush volume of 190 m3 for each rain event. Considered the type of use of the storage and loading/unloading surface from which the rainwater comes (waste-to-energy Plant), the first-flush wastewater is contaminated as well as with suspended solids, oils and hydrocarbons, also with other pollutants such as heavy metals and COD. This required the installation, of new dedicated treatment sections, simultaneously with the revamping of the existing equipment and facilities, which have been out of service and not working properly for several years. 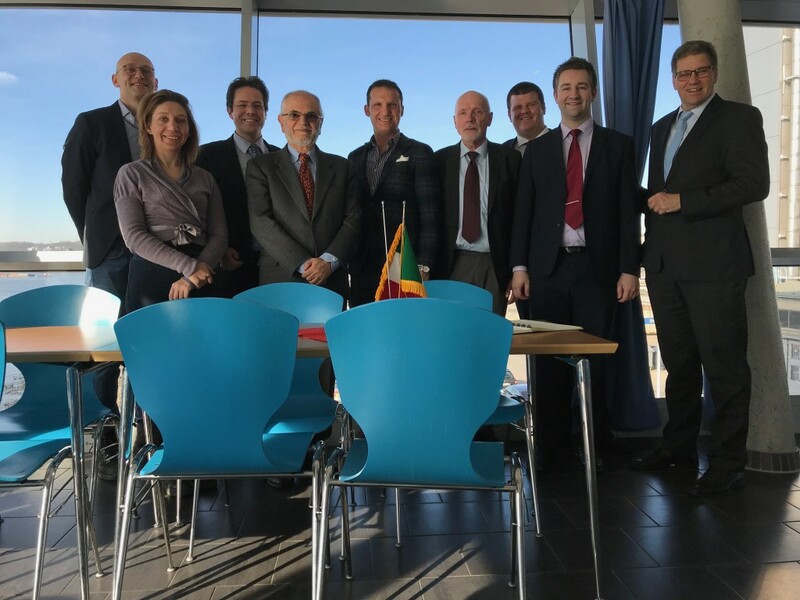 The project represents an important achievement for Tecniplant in the treatment of rainwater drained from surfaces with a particularly and super-critical use. Tecniplant has recently completed and delivered to a major Oil Company operating in Egypt an Industrial Waste Water Engineering Study. The scope of the study was the optimization and improvement of the existing Waste Water Treatment Plant focusing on the reduction of Oil, Suspended Solids, BOD and COD in order to meet the strict Law Requirements. Identification of the best practical environmental option. The Study has developed the various Scenarios with relevant technical and commercial analysis and CAPEX and OPEX evaluation. The Study has been submitted and approved by the Environmental Authorities with total Client satisfaction. The Study represents an important achievement in the preparation of a complete and detailed document based on Tecniplant engineering and reverse engineering knowledge and capabilities to propose the most customized and viable water treatment solution. 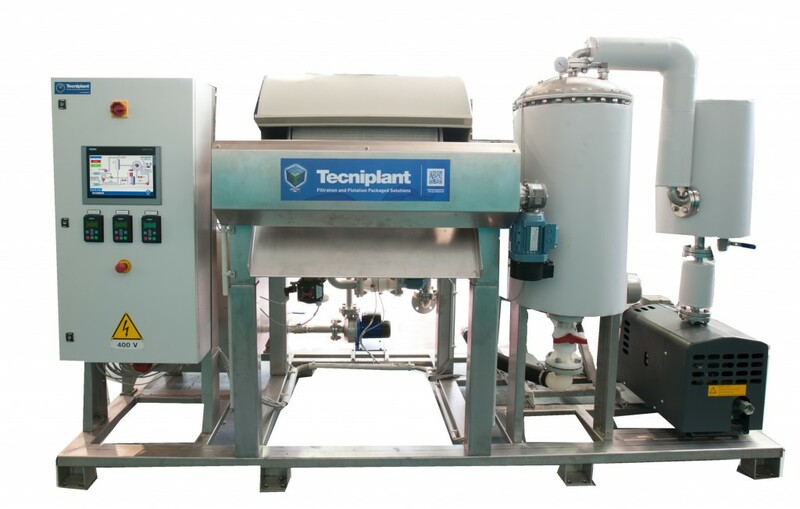 Tecniplant has noted the growing interest shown by Clients, operating in different Industrial Sectors, to have the opportunity to directly test and verify both at qualified laboratories, or directly in the field, the results of a specific filtration or flotation treatment applied to their specific products. 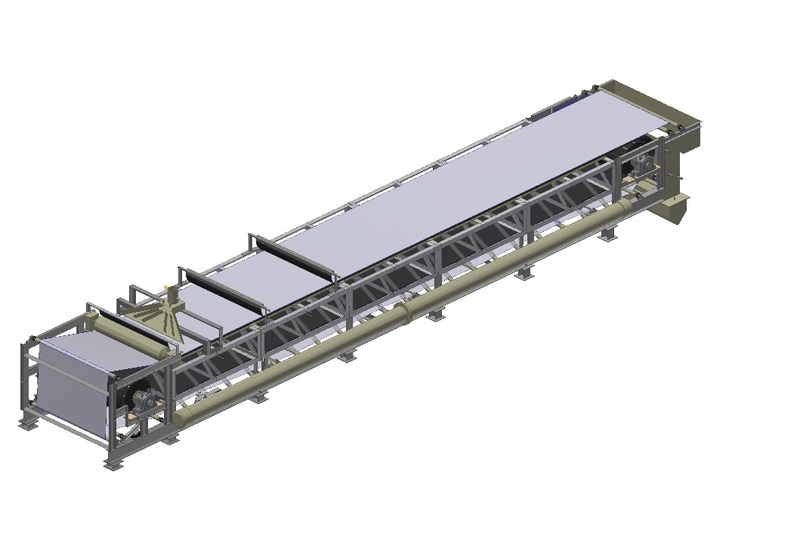 The above solution better allows Clients to base their decision to invest in equipment able to handle the whole production scale on the results of the performed tests. In this perspectives Tecniplant has devoted substantial time and investments to strengthen and increase its fleet of Laboratory and Pilot Units in order to cover the widest range of filtration and flotation cases. 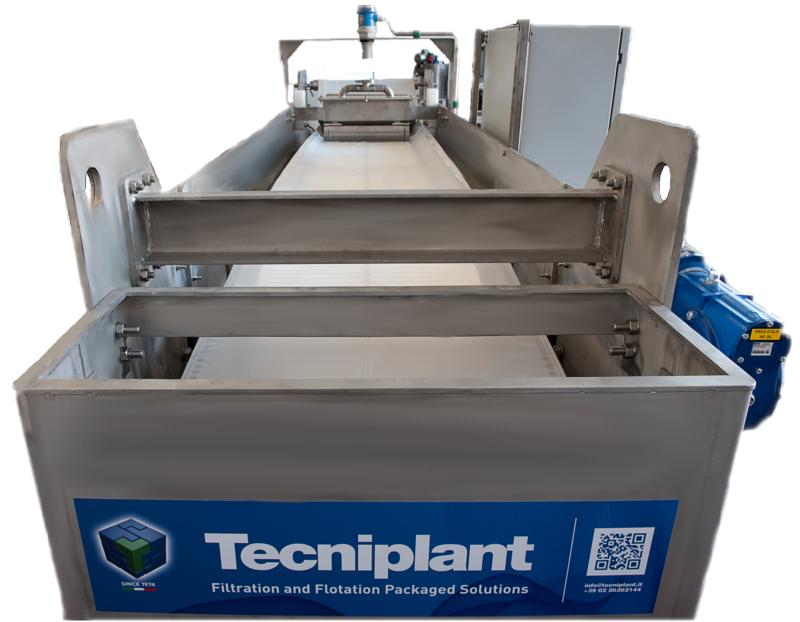 Tecniplant has recently completed and successfully delivered an Induced Gas Flotator Unit for oily water treatment for the end user HELPE, Greece. The Induced Gas Flotator Package is composed by an Induced Gas Flotator Unit (model IDF-500), two nitrogen gas lines (N°1 operating, N° 1 in standby), complete with Local Panel and JB on board cabled. The Induced Gas Flotator Unit will be equipped by motorized turbine that warrants a high level of oily separation. Tecniplant will provide in the next weeks the Erection Activities on site that include the installation of the oil and water piping, power and instruments and electrical cables and the construction of new foundations where the Induced Gas Flotator Unit will be positioned. The Project represents an important achievement in the supply of equipment inserted into a complete plant for the oil water treatment, leveraging on the long lasting and outstanding Tecniplant’s competencies in its core business. Tecniplant has recently completed and successfully delivered a Rotary Drum Vacuum Filter Unit for the filtration of slurry 20 to 10 micron particle size for the End User Pie Trading House – Pakistan. 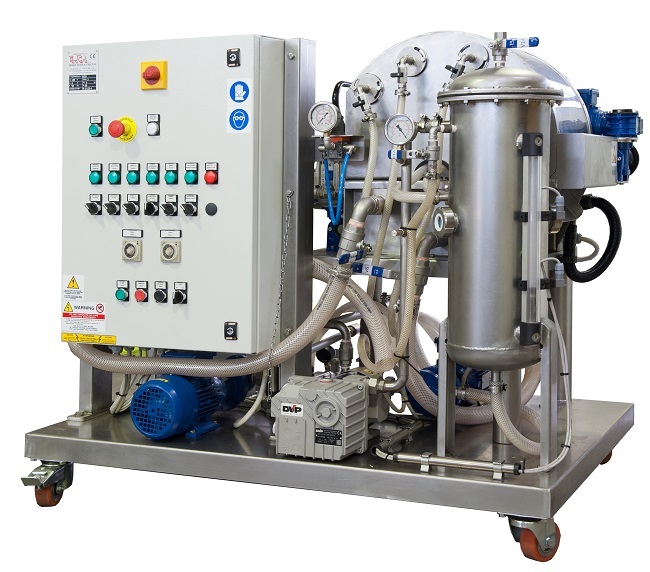 The package is composed of a Drum vacuum Filter complete with vacuum pump, filtrate receiver pump, vacuum receiver and a Local Control Panel. The package has been designed in a skid mounted configuration allowing an easy land transportation and a plug in installation on site. 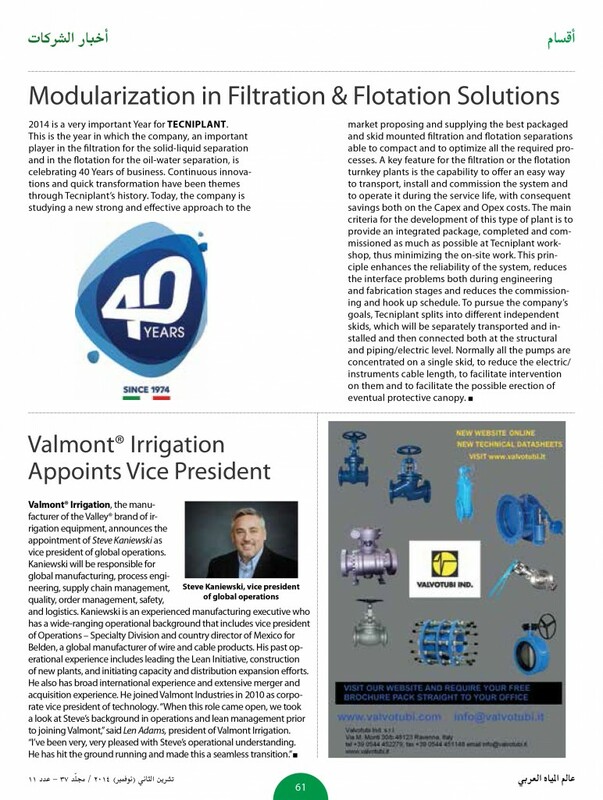 The project represents an important achievement in the supply of complete and integrated solution for the vacuum filtration leveraging ont the long-lasting and outstanding Tecniplant’s competences in its core business. In the last six months, Tecniplant has significantly enhanced the field testing activities of several products in different Industrial Sectors by using pilot units in the Clients facilities in order to dimension and propose the best solution for the treatment of Client products. Tecniplant has recently completed and successfully commissioned and tested a complete turnkey Plant for the Gypsum Dewatering System solution installed in Litoral (Spain) Power Plant of the End User ENEL / ENDESA. 1 Second Stage Hydrocyclone Station. The Project represents an important achievement in the supply of complete and integrated solution for the Gypsum Dewatering System in a Coal Power Plant. 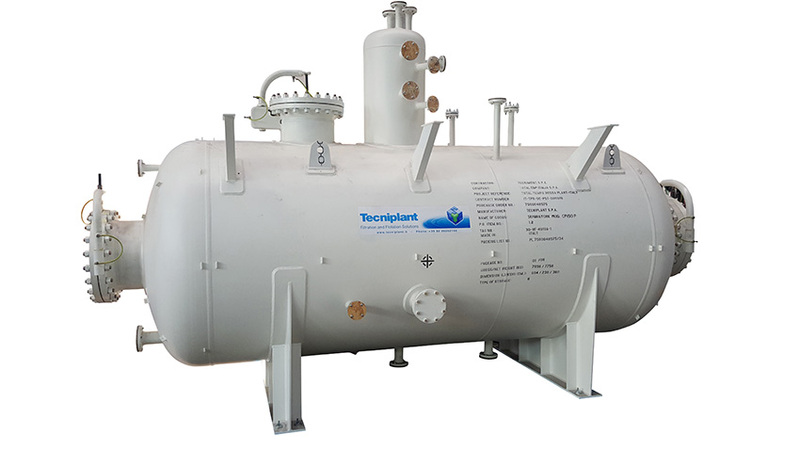 Tecniplant recently completed and successfully tested a complete packaged unit for the sodium hypochlorite treatment for the End User FATER S.p.A. The package is composed by an horizontal pressure leaf filter (OPF), a pre-coat tank, with all the ancillaries for the automatic filtration control. The package has been designed in a skid mounted configuration allowing an easy land transportation. 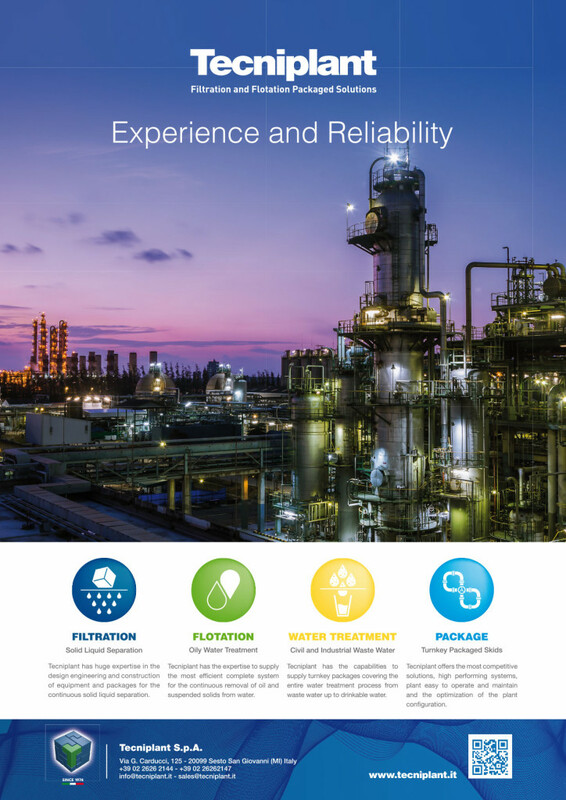 The project represents an important achievement in the supply of complete and integrated solution for the sodium hypochlorite treatment leveraging ont the long-lasting and outstanding Tecniplant’s competencies in its core business. Tecniplant has recently been awarded by Hellenic Petroleum S.A. in Greece with a Contract for the supply of a skid mounted Induced Gas Flotator IDF-500 for a total flow rate of 300 m3/h, including the design, manufacturing, dismantling works of the existing unit, erection works and the relevant multiyear maintenance services. The award of this project confirms the ability of Tecniplant to propose the most appropriate solution to meet the End User’s requirements. 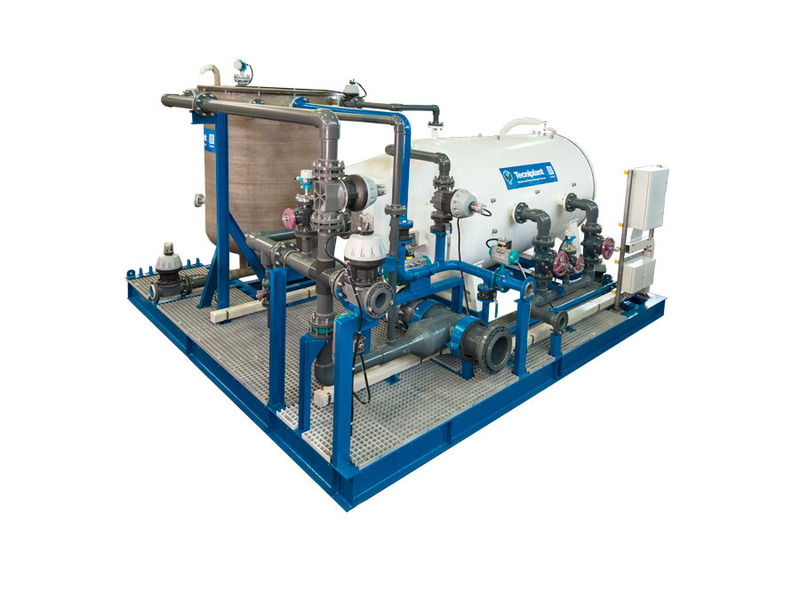 Tecniplant has recently completed and positively tested N° 4 equipment units for oily water treatment for TEMPA ROSSA Project, end user TOTAL E&P ITALIA S.p.A. The supply is composed by N°2 Corrugated Plates Interceptor (CPI) and N°2 Induced Gas Flotator (IGF). The four equipment will be installed into two line for oily water treatment, the two CPI will be installed upstream from the IGF. The IGF units will be equipped by motorized turbine that warrants an a high level of oily separation. 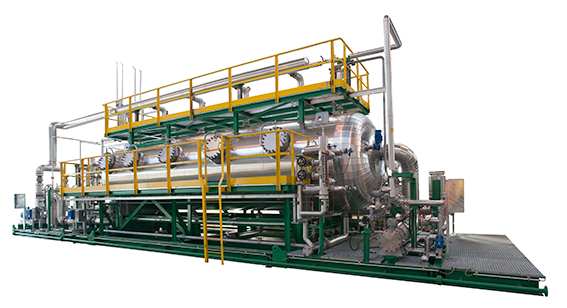 The Project represents an important achievement in the supply of equipment inserted into a complete plant for the oil treatment, leveraging on the long lasting and outstanding Tecniplant’s competencies in its core business. 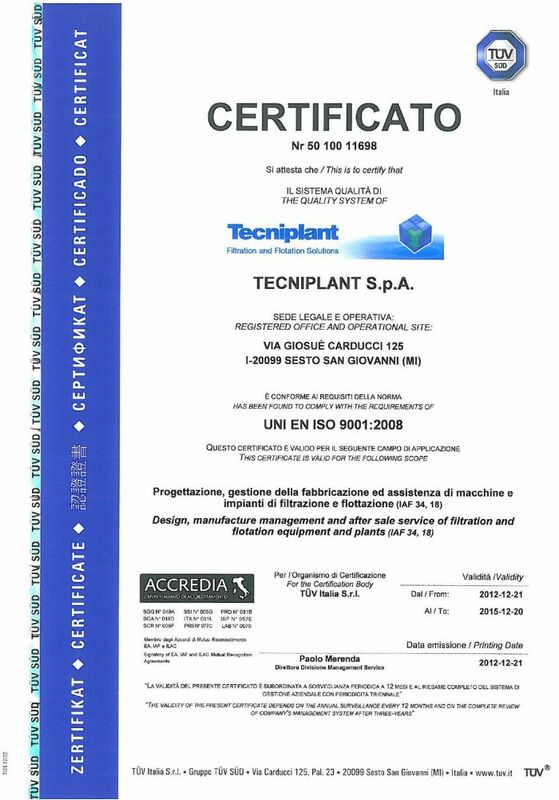 Tecniplant has recently completed and positively tested a complete packaged unit for oily water treatment for the end user ENI Italy. The package is composed by an Induced Gas Flotator (IGF), recirculating pumps, oil recovery pumps, dosing system and all the ancillary equipment. The package has been designed in a skid mounted configuration allowing a land transportation. The Project represents an important achievement in the supply of complete and integrated solutions for the oil treatment, leveraging on the long lasting and outstanding Tecniplant’s competencies in its core business. 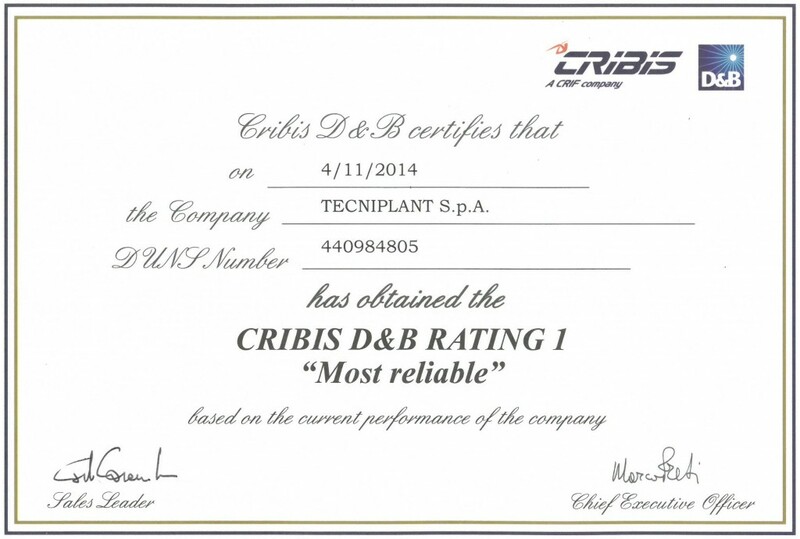 Tecniplant has been classified Rating 1 by CRIBIS Dun&Bradstreet which means at the top in terms of reliability and trust. 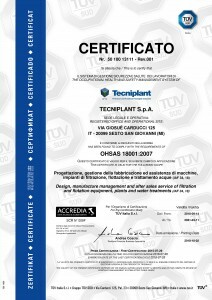 The above rating is based on the analysis of the last five years Tecniplant’s Financial Statements. 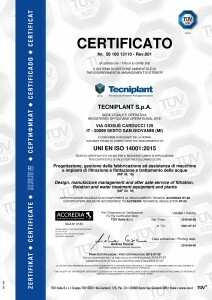 After completion of all the steps, TECNIPLANT has obtained the Quality Certification from TÜV.